In over 300 U.S. cities/communities, a John 17 movement of respect and trust among Christian leaders is producing daring collaborations; congregations, organizations, corporations. 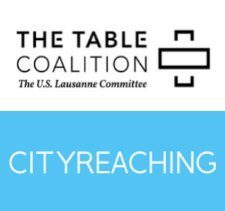 As a service to these various expressions of collaboration, The Table Coalition’s City and Community Ministries is helping to identify, serve and connect those thought leaders as well as share best practices wherever they may be found. To better serve our public, cityreaching.com is being redesigned, so please be patient and pray for us as we bring out the most helpful resources, and add to that new sections that can assist churches and cityreaching ministries across North America.